Manchester United continued from where they had left off against West Ham United as they put in a replica performance to win 4-0 away at Swansea. A resilient Swansea side was unlucky to concede at the brink of half-time through an Eric Bailey header. The goal dampened their spirits and they ended up undoing all their good work of the first half to let through three in the second, and hand United a heavy 4-0 victory at the Liberty Stadium. Hit with the departure of their main man Gylfi Sigurdsson to Everton for 45m, Swansea knew they would have to put in a real shift if they wanted to come away from today’s match with a result. 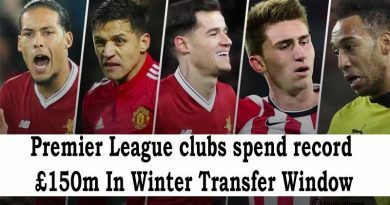 And they did just that as they played really well in the first half to resist the Manchester United attackers and give their defenders a problem at the same time by creating some decent opportunities. They were unlucky not to race into the lead early on, as Ayew’s shot ended up hitting the post and the deflection helped serve the ball past a jumping Abraham who was millimeters away from heading the ball into the back of the net. The talking point of the match came when referee Moss decided not to book Pogba for a second yellow and send him off for a harsh foul soon after receiving his first yellow. United dug through the half and scored at just the right time, as Bailey knocked in a Fabianski save to score the first goal of his United career. Swansea seemed clearly deflated by the late goal they had conceded in the first half as they came out for the second. They left open spaces in defense as they shifted to a back four and those were exploited by United as they scored three in a matter of 10 minutes. 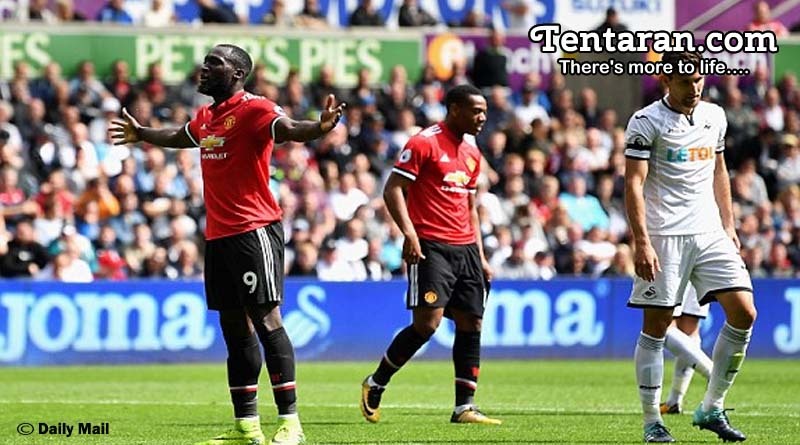 New signing Lukaku continued his scoring run as he scored in the second game running.The lead was soon tripled as Pogba scored a sumptuous lob goal and Swansea having let the floodgates open went onto concede a fourth as substitute Martial’s shot found the back of the net.